This article compares effective tax rates, in energy and carbon terms, on the full spectrum of energy use across the OECD, highlighting notable differences in the taxation of energy in OECD countries. The analysis strongly suggests that current taxes are not well geared towards attaining environmental, budgetary and distributional policy objectives. 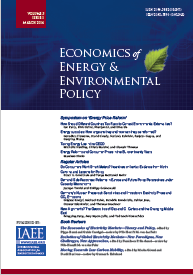 Incoherencies from an environmental policy perspective include the lower taxation of diesel relative to gasoline for road use and the low tax rates applied to many fuels employed for heating and process use, and particularly to coal, which has considerably higher emissions of carbon and air pollutants per unit of energy than other fuels.